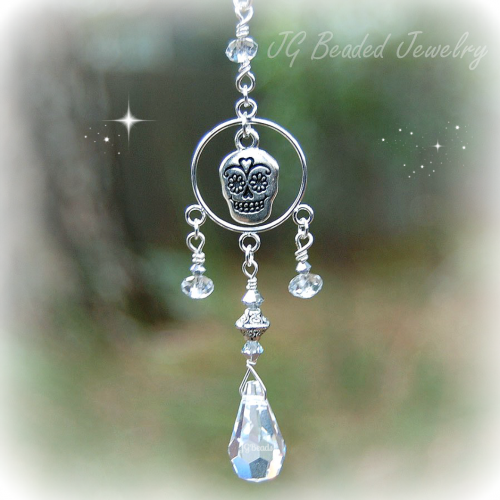 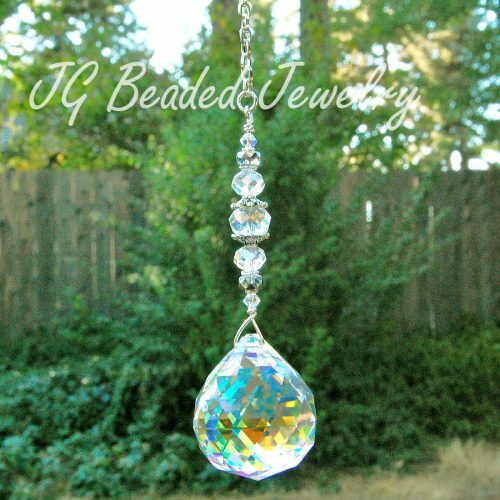 This amethyst iris crystal suncatcher is perfect for the rearview mirror or for a window! 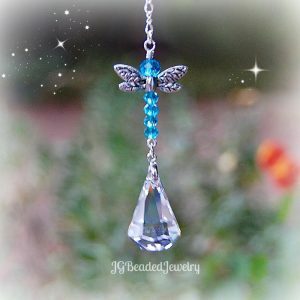 It is wire wrapped by hand with care and attention to detail. 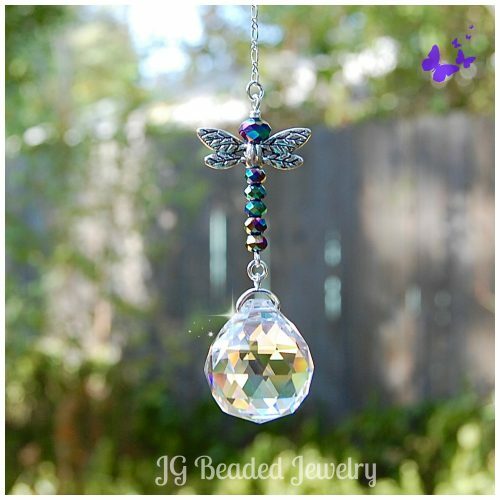 The suncatcher is designed with a quality 20mm faceted clear crystal ball which is embellished with iridescent and iris (purple/blue) Swarovski crystals, an amethyst gemstone bead and fancy silver metal beads. 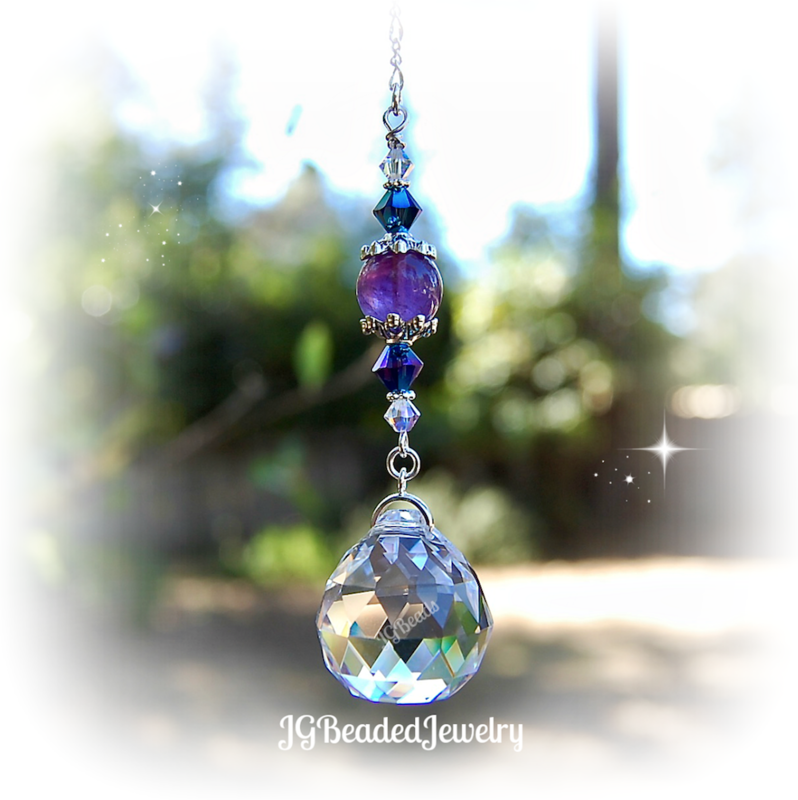 ♥ Amethyst bestows stability, clarity, strength, peace and spirituality. 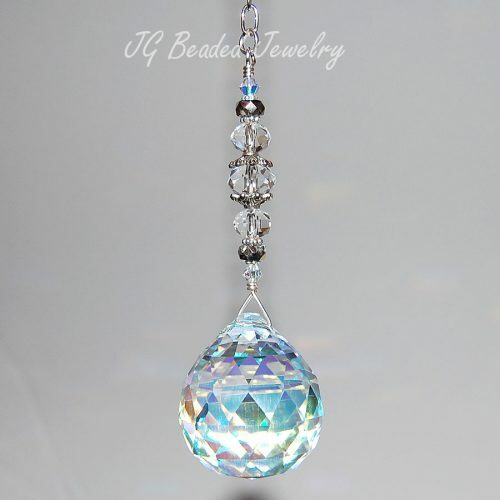 It is also considered the sobriety stone.